December 7th is an exciting day in Colombia! It’s the day when many people celebrate “La Noche de las Velitas” also known as “El Día delas Velitas.” Although the origins of this celebration are religious (as the night when many families welcome and celebrate “The Immaculate Conception”), it’s also seen as a way for families to welcome the end of year festivities in which many people, but not all, celebrate Navidad. 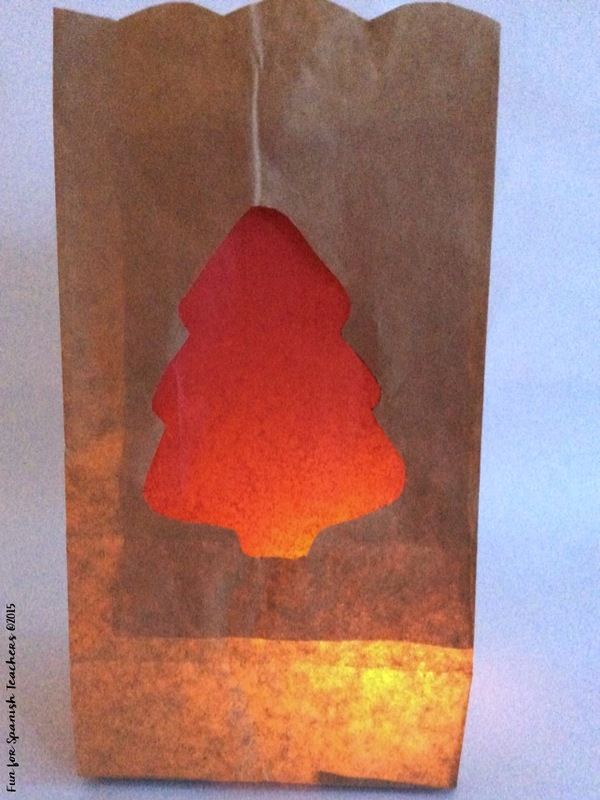 Farolitos (luminaries) and candles are seen everywhere. 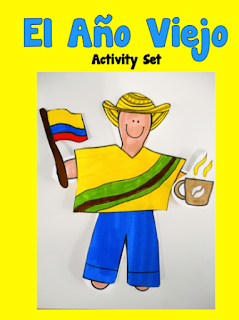 I have blogged before about the importance of this celebration in Colombia. Visit the links below to read my previous posts and find other activities to help you share with your students about this and other Christmas traditions in Colombia. Use the opportunity to bring some language to the lesson. 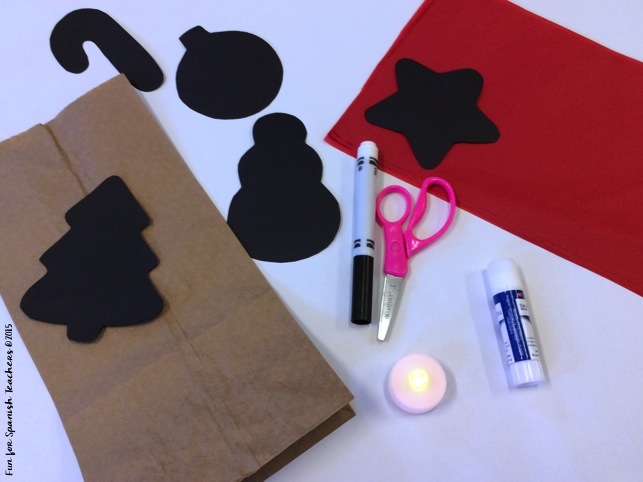 Visit my previous post with some ideas about questions for this activity. Talk about the colors and materials needed to make the farolitos. 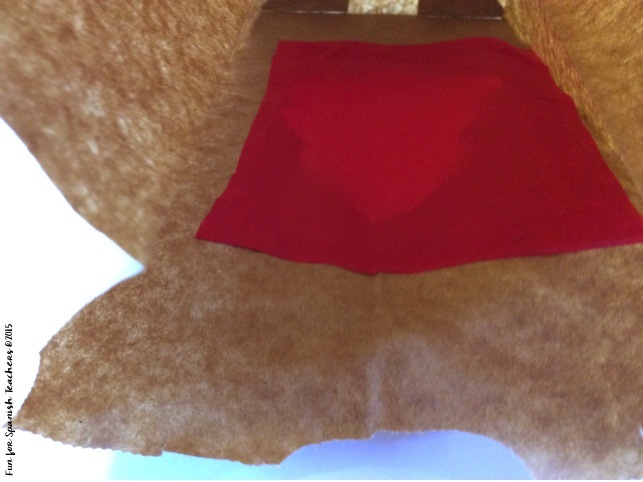 You will need to prepare the templates in advanced and pre-cut the pieces of tissue paper. 1. 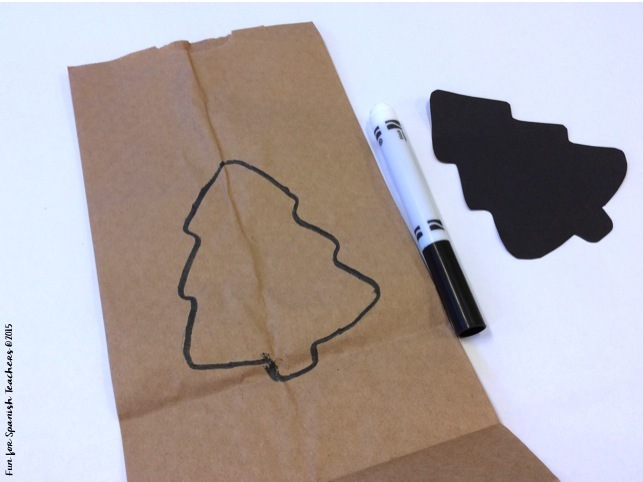 Trace the shape on the paper lunch bag. 2. Cut out the shape. 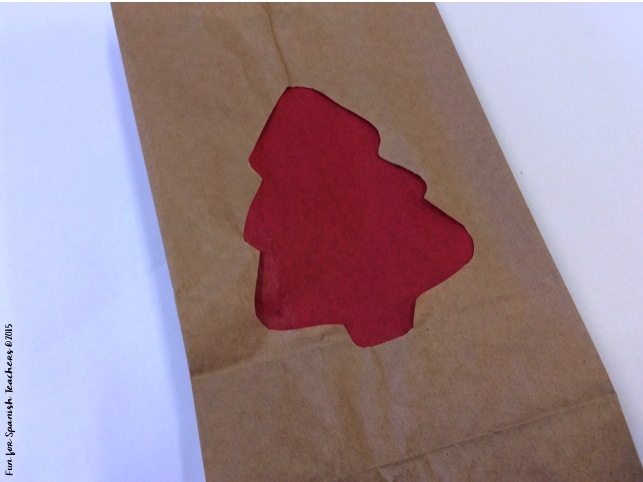 Younger students might need help to start cutting the shape. 3. 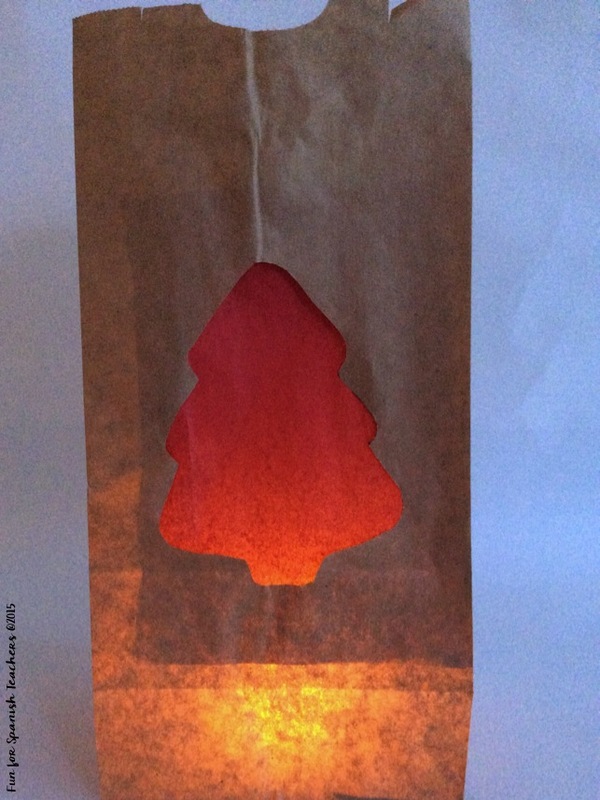 Glue the tissue paper inside the paper bag. This is optional. 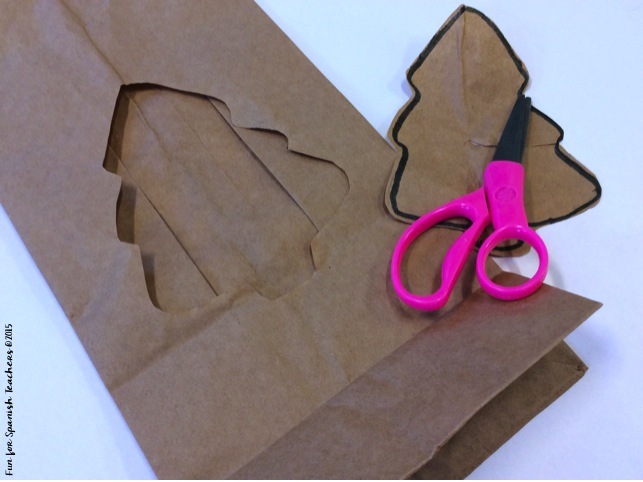 Students can make designs around the edges of the bag. 5. Get ready to sing some villancicos while celebrating La Noche de las Velitas in class. Here is a great playlist on YouTube. I also recommend the “Mi Burrito Sabanero” version by Colombian singer Juanes. 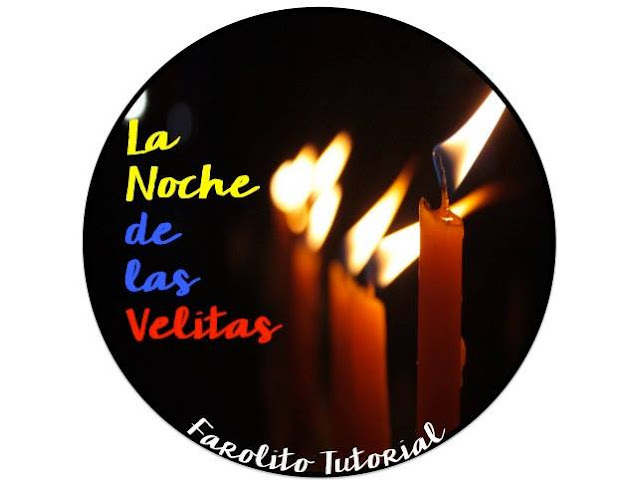 Mamá Tortuga, who is also a Colombian bloguera has another awesome tutorial to make farolitos with your students. Please hop over her blog – rápido y no a paso de tortuga- to learn all about it! This is an exciting time of the year! 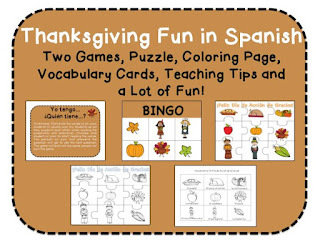 So many holiday celebrations happening all over the world bring an opportunity for language teachers to explore a lot of vocabulary, stories, and share about traditions in the Spanish-speaking countries. Here is a cute song to teach during November. 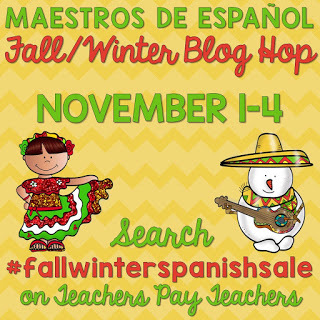 During our blog hop you will be able to find many amazing resources from different Spanish teachers. Below see the products that will be on sale in my store this week! Click on each picture to learn more about them. 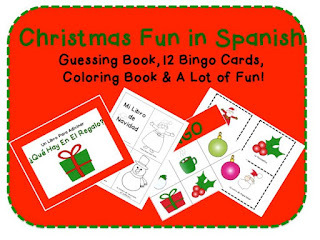 Still looking for more holiday resources for Spanish class? Click on the picture below to find more free teaching tips in my blog! Here is my giveaway! ¡Buena suerte! 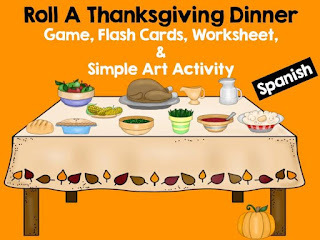 I would like one of my readers to have four of my TpT products. Please note that my Interactive Notebook Set is not included in this giveaway. Just enter below to participate. Worldwide participants are welcome! The winner will be announced on November 5, 2015. Many of the teachers participating in this blog hop are hosting giveaways and freebies in their stores. Don’t forget to stop by each of them and join the fun! Wearing yellow underwear is a unique tradition that some people in Colombia, and other places where Spanish is spoken, have on December 31st during “La Noche Vieja” on New Year’s Eve. It is believed that wearing yellow underwear will bring good luck in the new year. 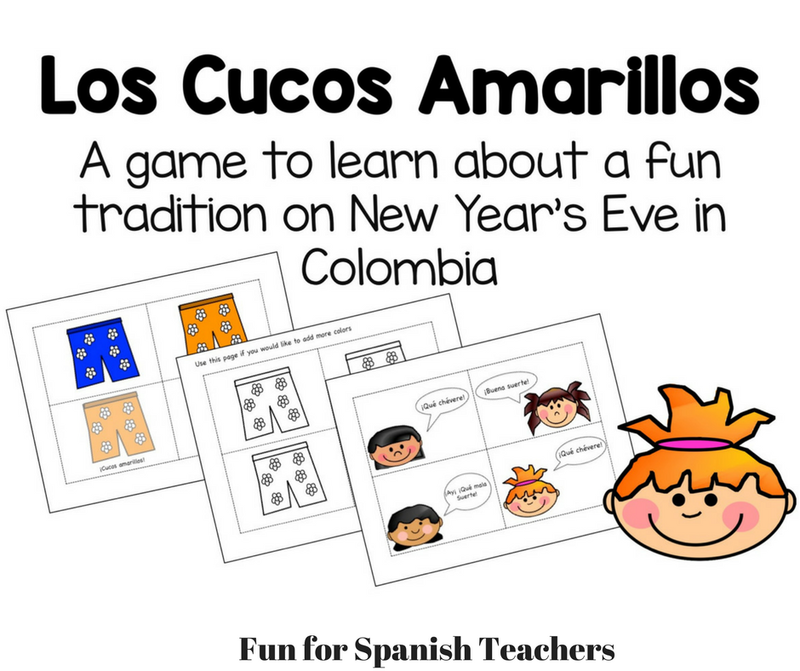 This tradition is known in Colombia as “Los Cucos Amarillos” or “Los Cucos de la Suerte.” “Cuco” is a word used in some places in Colombia to refer to underwear. 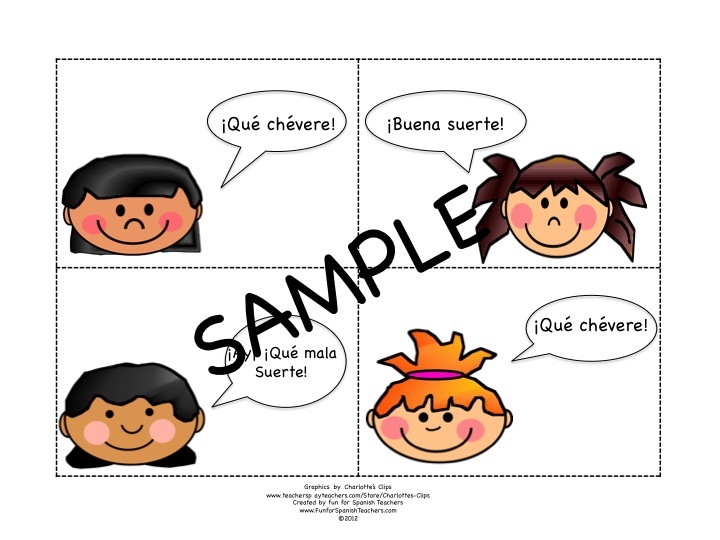 Through this game children will learn about this fun tradition and three simple common expressions in Spanish: ¡Qué buena suerte!, ¡Qué chévere!, ¡Qué mala suerte! You will need good luck to play the game well, of course! 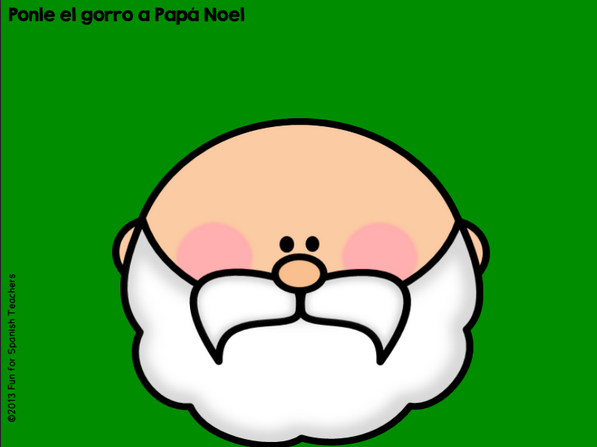 In preparation for this game, you will need to print the “Papá Noel” without the hat and a few copies of the hat. Just scroll down to find the link to download them for free . Laminate them and place Velcro or adhesive tape on the back of each hat. 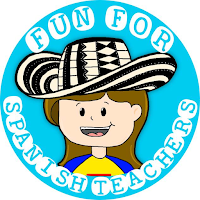 You will need to teach students each of the phrases in the game. A good way to do this is to chant them along with children. I encourage my students to chant as a whole group and help each other out this way. 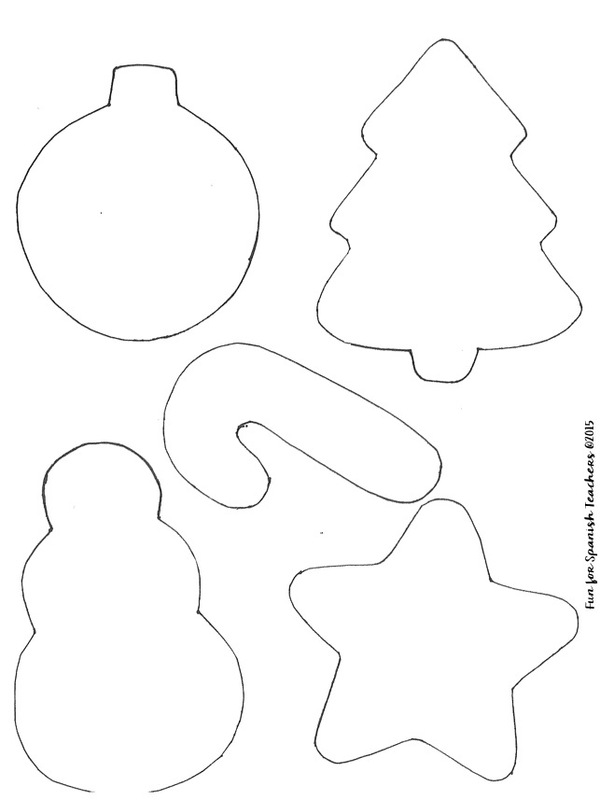 Next, choose a student to volunteer to be Papá Noel. Ask this student to leave the room. Quietly distribute the hats between the children and ask them to hide the hats. 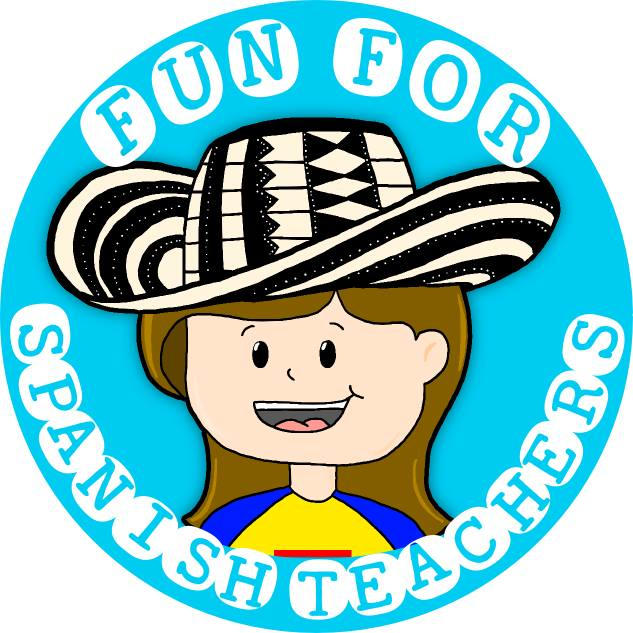 The student and the class will answer: “Sí, si tengo tu gorro.” or “No, no tengo tu gorro“. You can choose the number of turns you allow. 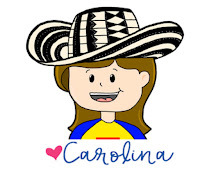 If the student who is Papá Noel finds the hat, he can place it on the picture and say “Ho, Ho, Ho ¡Feliz Navidad!“. ¡Papá Noel! ¿Quién tiene tu gorro? Student (Papá Noel): ¿Tu tienes mi gorro? Class: No, no tengo tu gorro. Sí, sí tengo tu gorro. 2. 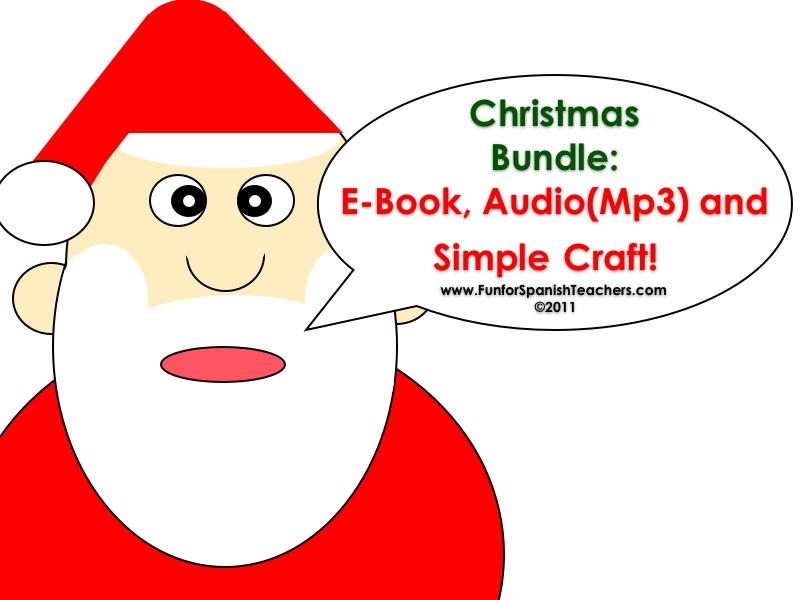 A fun read aloud audio (Mp3) – Listen to sample here! 4. A lot of fun!